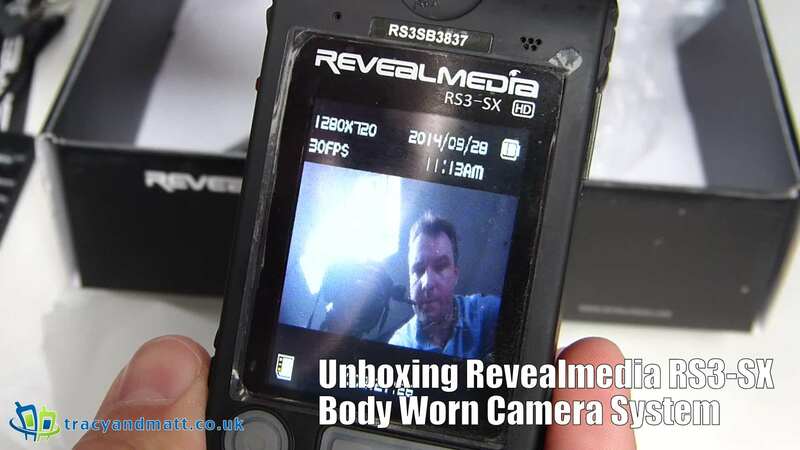 Gareth takes a look at the RS3-SX Body Worn Camera System from Revealmedia. This unit is typically worn by the Police to document response situations. Built for reliability and designed to be light weight the Body Worn Camera is a versatile and almost essential piece of equipment for an officer on the job. Accurate positioning. Horizontal and vertical camera adjustment. Front-facing screen. 2.5” screen displays footage as it is being recorded. Proven to improve outcomes. Multi-use. Use camera on body, in car or standalone (eg. in interviews). Dock and go. Automatic file uploading and battery charging via cable or docking station. Rugged case. Designed for use on the front line – where you work. Usage log. Encrypted log on RS3-SX. Automatically detect if a video has been tampered with. Playback. On camera video and audio playback. Review footage in the field. Mark evidence. Mark footage as ‘evidential’ when in record mode. Automatic filing after upload to DEMS. Stealth mode. Enables recording without screen or lights.